State Sen. Larry Grooms, R-Charleston, an outspoken opponent of “Fun Home” being selected for the freshman reading program, said that he has heard about the play and believes it is a direct response to the House’s decision to cut funds due to the college’s controversial summer reading choice. That “protest” move is not wise, Grooms said, and he plans to bring it up as the Senate debates this year’s budget. “If lessons weren’t learned over there, the Senate may speak a little bit louder than the House. There would be a number of members in the Senate that would have a great interest in fixing the deficiencies at the College of Charleston,” Grooms said. He declined to say specifically what action or cuts he had planned. The theater department at College of Charleston supports the production, seeing it not only as a point of cultural importance, but an academic opportunity for students. While theater and dance majors will be welcomed to observe rehearsals, two students will also have the opportunity to serve as production assistants, gaining them exposure to Kron, Tesori, and Bechdel. 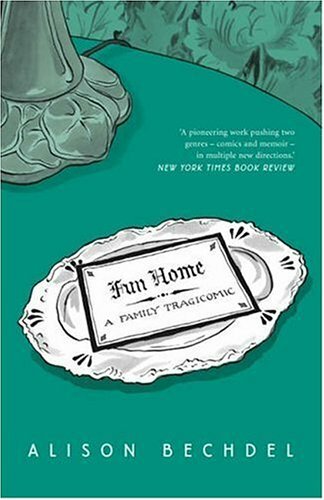 For officials to continue to protest the presence of Fun Home on the college campus, they aren’t just limiting literature from their student body, but also opportunities to understand the world of the arts. Since state funds aren’t being used for the performances, it makes little sense why local government would even be involved — except to continue pushing their narrow-minded and censorious agenda. Although this distinguished honor doesn’t erase the unfortunate criticisms of the novel, perhaps it can continue to serve as another endorsement of the powerful, important experiences Bechdel has been brave enough to share. CBLDF will continue to monitor the story. Casey Gilly is a Contributing Editor for CBLDF, a Staff Writer for Comic Book Resources and, most importantly, a cat enthusiast.